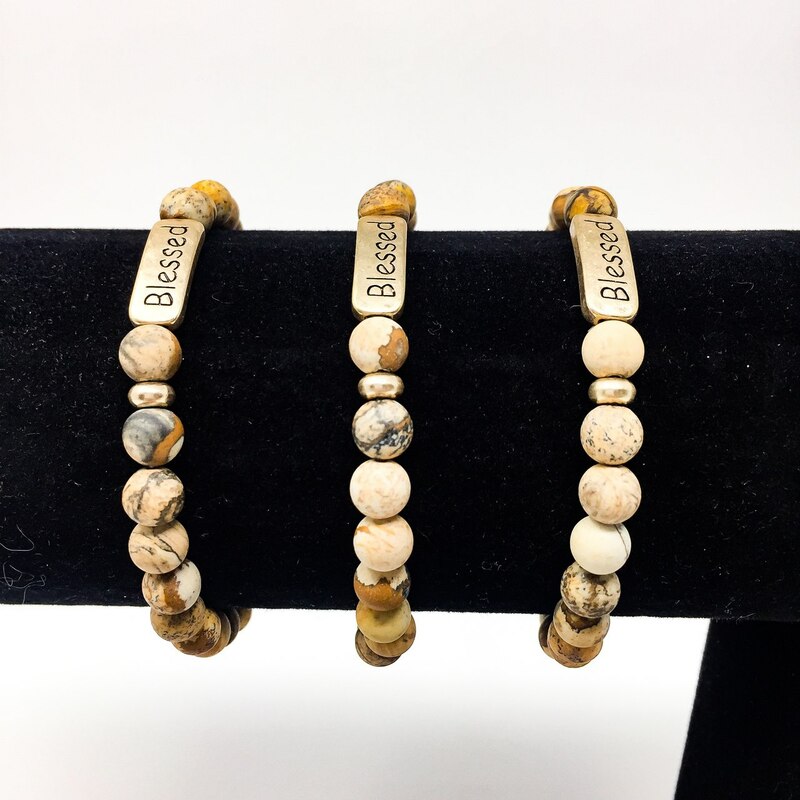 These gorgeous stacking bangle bracelets shimmer gold bar inscribed “BLESSED” and leopard jasper beads. 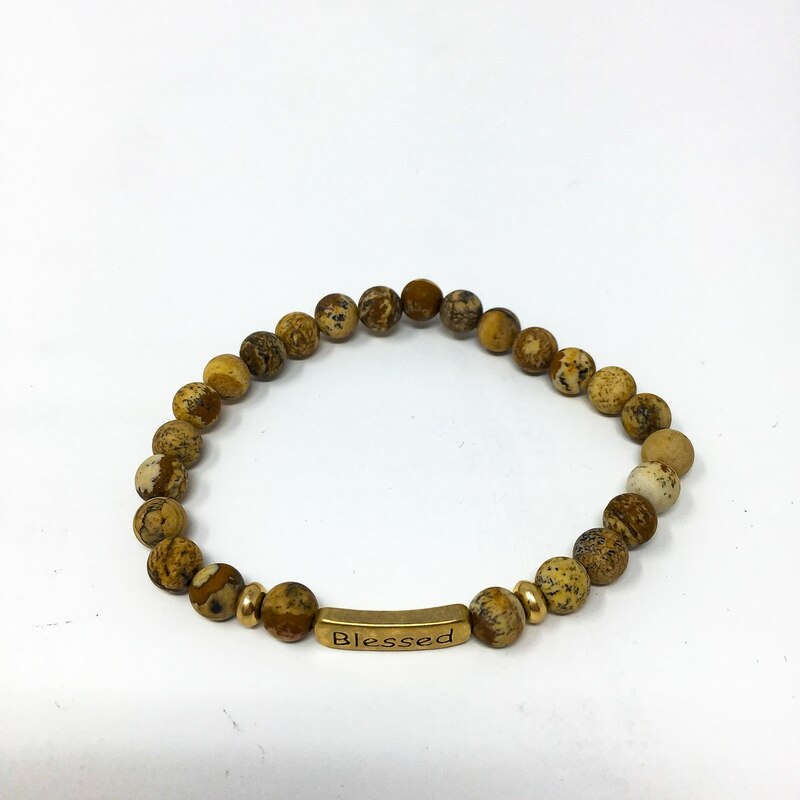 This gorgeous stacking bangle bracelet shimmers with a gold plated bar inscribed “BLESSED” and leopard jasper beads. 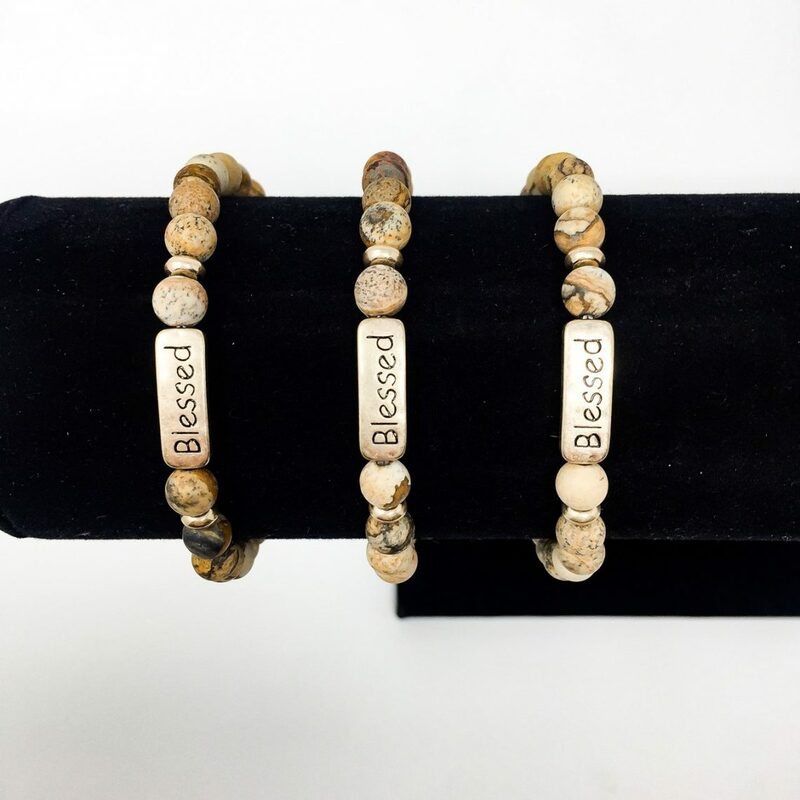 Designed to be stacked with multiple bracelets for a gorgeous look.